Loyal readers of my blog (yes, there are quite a few!) surely know that there are a handful of red-flag states out there which have unique non-compete rules. 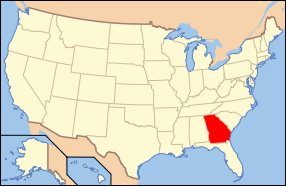 Georgia, historically, has been such a jurisdiction. Employees have met with a high degree of success in challenging non-compete obligations, often succeeding because covenants are facially overbroad and capture too much competitive activity. All that changed with the passage of a new statute in Georgia, which recently went into effect. The new statute is decidedly more employer-friendly. Because the new law only affects covenants entered into after its effective date, employers now have a strong incentive to redraft agreements and bind key employees to new covenants. The changes are fairly extensive, so I will summarize some of the main points that I would expect to come up frequently. (1) Class of employees: non-competition agreements can be enforced against employees who regularly solicit customers, regularly engage in sales, perform the duties of a "key employee", or supervise others. (2) A term will be presumed reasonable if it is (a) 2 years for employees, (b) 3 years for arms-length business transactions (such as a license or franchise agreement), and (c) 5 years for a sale of business. (3) Non-solicitation covenants need not have an express geographic territory tied to them. (4) Burden of proof: the employer will need to establish that the covenant protects a legitimate business interest, which is expansively defined and includes goodwill, confidential information, customer relationships, and specialized training. If the employer demonstrates the covenant meets the statutory terms, the burden shifts to the employee to show it is unreasonable. (5) Blue-pencil rule: the impetus behind the statute was Georgia's strict rule prohibiting any modification for overbreadth, which also generally resulted in an entire covenant being struck down as void. Courts are now empowered to modify overbroad restraints. Again, keep in mind, the old Georgia law is still relevant because the law is not retroactive. Employers would be well advised to have their agreements audited and redrafted to suit the new law. Prospective employees must now pay careful attention to their agreements and be vigilant about negotiating terms. They can no longer count on courts to save them from a bad deal.